In order to be eligible for Supplemental Security Income (SSI), you have to be disabled under Social Security’s definition, and you have to meet the income and asset limits. SSI is a needs-based program that is only available to people with limited resources. Resources include money in your bank account, stocks and bonds, real estate and other things that have a cash value. There are also income limits for SSI, which are based on the federal benefit rate. The federal benefit rate is the monthly income limit for SSI and is also the maximum monthly SSI payment. For 2015, this amount is $733. In order to be eligible for SSI, you cannot have monthly income over the federal benefit rate. However, only some of your income counts toward the limit. For instance, if you are earning some money from working, less than half of your monthly income will count toward the limit, so it is possible to make more than the federal benefit rate per month, but still be eligible for SSI payments. The above is a general description of the income and asset limits, and more detailed rules may apply in your case. Your individual financial eligibility for SSI will be determined by a Social Security claims representative, who may ask you for documentation of your income and resources. For instance, if you had certain assets at one time, you may have to show proof that you no longer own those assets. 24 Comments on What are the income and asset limits for SSI? If land is sold and used to pay off personal debts, how will that affect disability income? 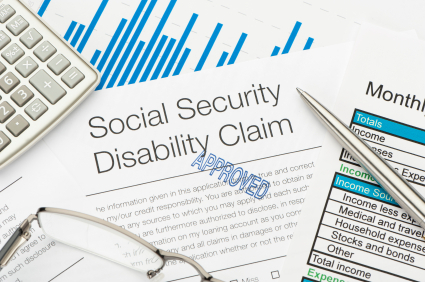 The crucial factor would be whether the person is receiving Social Security disability insurance (SSDI) or Supplemental Security Income (SSI) benefits. SSDI is not means-tested, so unearned income such as from the sale of land would not affect SSDI benefits. SSI beneficiaries, on the other hand, are no longer eligible for benefits if their resources rise above $2,000. (Certain assets, such as the house the person lives in and one car that they use for transportation, are exempt from that calculation.) However, SSI beneficiaries become eligible again if they spend down those resources in acceptable ways, which may include paying off debts. How much can you make getting the $733. Generally speaking, your “countable income” is subtracted from your Supplemental Security Income (SSI) benefit amount ($735 in 2017) each month. Social Security uses a formula to arrive at what your “countable income” is, which is described in detail with examples on this Social Security webpage. My husband and I make over the allowed monthly income for my 4 year old son to qualify for ssi benefits. We have to take out a private insurance policy on my son to cover the therapy our health insurance will not. That is going to cost us $600 a month. Is that factored in when we apply for benefits? Unfortunately, I am not aware of a way to deduct that expense from your income for SSI purposes. Pages 12-15 of this Social Security document detail the types of income that does not count, which may be helpful to you. If a person is living in a group home, but still owns their former home, this will count as an asset. My question is does putting the home up for sale allow one to qualify for SSI or must the home actually be sold? An important first consideration in this circumstance is whether the person has a spouse or dependent relative living in the home, or whether sale of the home would cause undue hardship due to loss of housing for a co-owner. If any of these exceptions apply, then the home can still be excluded. 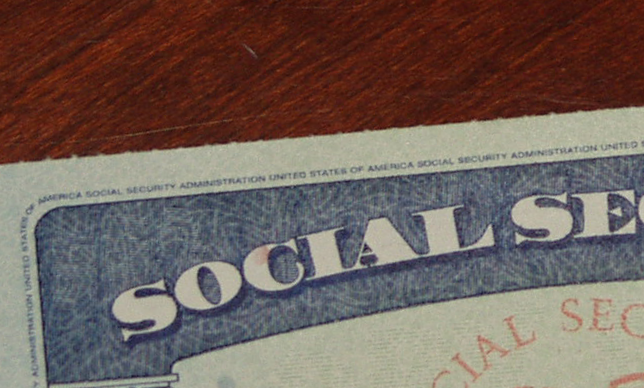 See section B.5 on this Social Security webpage. To avoid the value of the property (or the proceeds from its sale) making the person ineligible for SSI, the person may wish to transfer the home to a family member. Normally, transferring a resource for less than fair-market value is against the rules and will make the person ineligible, but there are exceptions if the home is transferred to certain family members. See this Social Security webpage. If none of these exceptions apply, another option may be to sell the home and put the proceeds into a trust, which can be for the benefit of the person in the group home under certain circumstances. The rules on that are complicated and you should consult with an attorney in your area. To answer your specific question, I am not aware of any circumstance where simply putting the home up for sale, without it being sold, has any effect in itself. I am 76 years old, and started receiving SSS pension in 2014 for $750. On Dec 2016, I retired from Safeway Grocery store and received monthly pension from the company of $198 a month. So I receive a total of $948/month. This amount is not sufficient to buy food and pay bills. Am I eligible to apply for SSI to augment my pension? I appreciate any information that you can provide. The federal benefit rate for Supplemental Security Income (SSI) for an eligible individual is $735 per month in 2017. Generally speaking, SSI will only bring you up to that amount, so if you already have income higher than that, you would not be financially eligible for SSI. An often overlooked benefit that can help many people stretch their monthly budget is the Supplemental Nutrition Assistance Program (SNAP). Generally speaking, for the Supplemental Security Income (SSI) program, Social Security considers the income of the whole household, not just the SSI beneficiary, in determining whether the income limits are met. At what point does a deposit of monthly SSI benefits count toward the $2000 asset limit? Should we not get a chance to spend the monthly benefit to live before it is counted as an asset? What happens if we get a deposit twice in one month because the 1st falls on a weekend? Does this also get counted as an asset in the month received? To maintain your eligibility for SSI, it is a good idea to make sure that your bank account balance is never over $2,000 for an individual. So if you receive $735 per month, that means making sure your account balance is $1,265 or less before your SSI benefit payment goes through. However, in the specific situation you mentioned, where a deposit comes early because of the 1st falling on a weekend, Social Security is supposed to take that into account. See this link section D.6. Want a divorce but dont want to lose ssi and medicaid. I just retained a lawyer. Can I ask for him to purchase me a car, furniture, clothes, things such as these. I read you could. One term used was a lump sum spend down. Anything such as what I mentioned would be fine with me. I have no cat. Just want to keep ssi and Medicaid. Under the income and resource rules for Supplemental Security Income (SSI), the house you live in and one vehicle you use for transportation do not count as resources, so those are items you can own which will not affect your benefits, regardless of their value. The general rule on surviving spouse benefits is that you cannot get them if you remarry before age 60, but if you remarry after age 60, you can. As for Supplemental Security Income (SSI), since that program has income and resource limits, getting married would affect you in the sense that your new spouse’s income and resources would be counted in calculating whether you meet the income and resource limits. I have been on disability since 1998 and receive $850/month. I am also the representative payee for my 11 yr old son and his amount is $350. Do we not qualify for SSI? 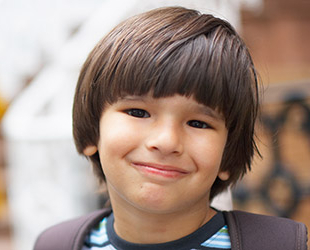 If your son has a disability, he could qualify for SSI. Other than that, SSI generally only pays enough to bring an individual up to the federal SSI maximum, which is $735 per month for an individual in 2017, and you are already receiving more than that. I don’t like the idea of transferring your home into someone else’s name. That’s giving away your home and they can do with it what they want, even selling it out from under you and putting you out in the street to live as homeless. Thank you very much for posting this information. To add to this, the website for Florida’s ABLE account program is ableunited.com. Despite this restriction it can be a useful account in some cases. If someone doesn’t have a lot of family support, or just need a certain level of independence, the ability to set a side some money without losing benefits is extremely valuable. – If someone is looking to save larger amounts of money then a irrevocable trust is the way to go. It can be left to heirs, but is more complicated, (I.e. expensive to set up. ) so Able account is way to go for smaller amounts.